I have a nut allergy; can you tell me what my options are in the stadium? We do not sell items with peanuts in the majority of our locations, however, we do have some local partners that may cook some items in peanut oil. We mark items on the menu board and will always work with a guest to provide solutions that work for your needs. If you have a severe allergy, please feel free to contact us and we will provide options to ensure a safe and enjoyable visit to our venue! I heard you offer gluten free food choices; where can I find those? We do offer guests gluten-free options at our venues; at Ohio Stadium, we have a gluten-free location at 19A and at the Schottenstein Center, we offer gluten-friendly items at stand locations on each level. At our other venues, the options vary based on the event but we are happy to work with you to meet your needs if you contact us. Our venues do not allow you to bring in your own food and beverage. You can find additional details about the venue policies here. If you have a specific medical need, please contact us prior to the event to discuss your needs and options. Where can I find local beers? We are proud to partner with several Ohio breweries and you can find their products throughout our venues, where alcohol is sold. Do you offer any local or specialty foods? 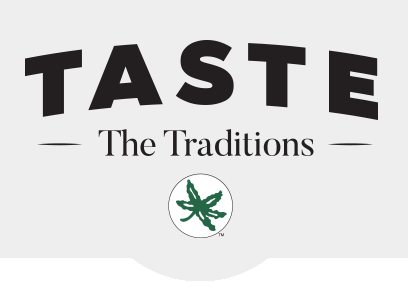 We are proud to partner with local producers from the Ohio area and Midwest region; you will find local features throughout our venues and the website offers additional details about the foods offered at our venues. We do offer vegetarian and vegan items in our venues, the options vary by event so if you have a specific need, please contact us prior to ensure that we can meet your needs. I am interested in working with Levy at Ohio State; where should I apply? We are always looking for great people to join our team – you can apply here. I am interested in fundraising with Levy; how do I set that up? We are always looking for great organizations to fundraise with us – you can fill out a contact form here and we will be in touch!